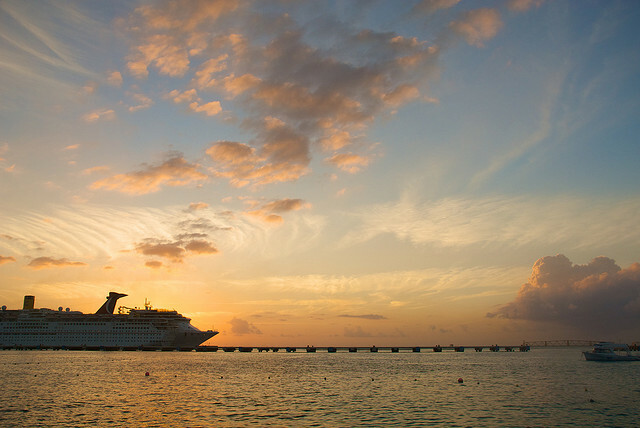 Cruise is such an amazing luxury countless people are dying to try to experience. Cruising down the magnificent courses and destinations is definitely divine, not to mention the pure bliss of the breathtaking sunset, the richly stimulating cocktails and the indefinable thrill it brings to every romantic couple looking for a perfectly romantic holiday escape. As the incomparable excitement of cruising heightens, the tendency of forgetting about kindling the fire of romance is quite great. Life aboard a grand cruise ship definitely has distracting spells that can zap romance unexpectedly. Fortunately, there are wonderful ideas you should consider before booking that will assure you and your partner a tranquil and smooth journey. Set sail with the right liner. If this trip was intended for a romantic celebration, you can choose small cruise ships with all-inclusive packages. Most of the time, this type of cruise offers an exceptional fusion of paramount service and lavish amenities where you can genuinely feel the cozy atmosphere, luxury and pleasure of cruising. Get the best itinerary. Avoid a disheartening experience by checking on the liner’s crossings and schedules prior to booking. Port calls are important, so it is good to know what to check or to discover in each stop and where to unwind and spend a romantic moment together while waiting for the ship’s departure. Choose the best suite. A tight-wad chamber will only ruin your journey. A deluxe suite with access to the balcony is definitely grandiose and romantic. Bigger space, full-size bathtub and a huge bed could mean comfort. And who will disagree that nothing beats the joy of gazing at a romantic sunset or sunrise while savoring the warm ocean breeze? Plan an exclusive romantic dinner. An intimate conversation over a profuse selection of the finest cuisines and luxe wines will surely make the expedition more meaningful. Whether it is served inside your suite or in the stately balcony, it will spur deeper intimacy and more exciting romance for both you and your partner. Enjoy the hot tub together. Don’t you think it is amorous to spend time together in a hot tub? Experience an uninterrupted romantic moment by the liner’s private hot tubs or jacuzzi. Chatting while soaking your bodies in the warmth of the water makes for a beautiful connection. You will find yourselves relaxed, rejuvenated and ready to set romance ablaze once again. Make reservations. Commingling with elegant people inside the cruise ship during dinners and on occasion is a wonderful idea. But most of the time, it would defeat the purpose of your trip and spoil the spring of romance. Try to make reservations, maybe for a candlelit dinner where you can experience dating like young lovers. Relish solitude. Your every moment of solitude is an opportunity to discover something new from each other. Each moment, away from the other travelers, is a chance to enjoy, grow and love each other over and over again. Solitude helps you develop intimacy, strong connection and worthwhile memories. If you were a jet-setter, someone who is into a trade-a-plane business, a daring entrepreneur, or a couple who who wants something new and quixotic, holiday cruising would be a good diversion. An amazing cruise is a journey to keeping the fire of romance always burning. The sights and the whole experience will forever be part of your book as a couple, a wonderful memory that you can happily reminisce from time to time. Brandon Peters is an entrepreneur, writer and gadgets enthusiast. He loves to check out, collect and enjoy new hi-tech gadgets. But when he is at home, he devotes his time writing about different topics.